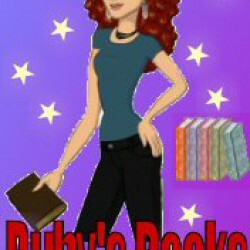 Originally published on my blog Ruby's Books. A mystery after my own heart. There are so many things I loved about this book I seriously don't know where to start. First, I had no idea who the killer was. I was thinking of a different person so I was so happy and pleasantly surprised that I was wrong. Second of all, I liked that there was always a phrase or a small scene or a detail that changed my opinion of certain characters. Then there's the fact that I couldn't figure out the motive for the murders. For me, that was one of the things that kept me reading the book. I really wanted to know why.Jillian is a wonderful character. She's smart, strong willed, funny, stubborn, friendly. Also (and this is one thing that made me love her more) she's a coffee addict. She's also still friends with her ex husband and I liked that. That might be a strange friendship, but I'm fond of those. And the romance addict in me hopes that maybe they'll get back together and stay that way :PI loved the pacing. The book didn't stall when it didn't need to and it didn't rush when it wasn't necessary. Another thing I loved were the smaller chapters with POVs from other characters. I loved that. Besides having the previous chapter end with a cliffhanger, you would also get a view inside some other character's head and that made the entire book feel multidimensional. Sort of like one of those "meanwhile" moments in movies. I loved that.Oh, I also loved Cynthia Anderson, Jillian's neighbor. Reminded me of one of my older neighbors back home and how much I loved her. I do believe everyone needs a neighbor like Mrs. Anderson.I don't know if it's good or bad (if you ask me, it's a very good thing), but I can't think of a single thing I didn't like or that I wished was different. 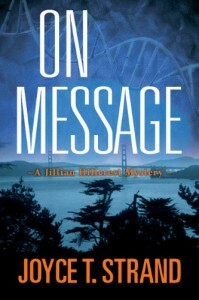 I think it's one of those mystery books that any mystery fan should read, so it's definitely on my Recommended list. I also can't wait for the next installment, Open Meetings, sometimes this year I think.Do read this wonderful book, you won't be disappointed!